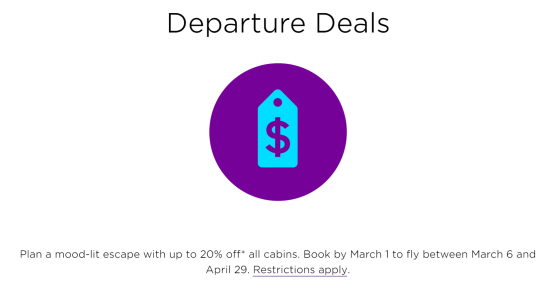 Things you can expect with consistency – Virgin America discount codes for non-peak travel (basically January – April and September – November). Without fail, these pop up every month or so. Discount is off base fare — not taxes, fees etc. So on a $300 nonstop between New York and San Francisco roundtrip, the 10% discount would be about $24 off. More info on this promotion: Virgin America Escape20 Promotion. And if you are going to buy, use Visa Checkout and get $25 off your next flight with Virgin America.